OnFulfillment provides cost-effective global fulfillment solutions that streamline the printing, assembly/kitting, warehousing and shipping of your important business materials — whether that is training courseware, marketing materials, promotional campaigns, or e-commerce products. What sets us apart is our level of customers service. Because we take pride in ensuring each project is accurate and on time, you get the best possible service. Our deep industry knowledge and global infrastructure ensure your materials are delivered in the most cost effective and timely method, eliminating common international shipping problems associated with customs and VAT. Your materials get where they need to go — into the field — faster and more economically than ever before. OnFulfillment has warehouse facilities in multiple locations around the globe. Our extensive network ensures that we can ship "locally" to save you time and money. We also provide inventory management solutions and print on demand capabilities to help you maintain just-in-time inventory. And regular customer service reviews help you identify areas where you can eliminate waste and save money. 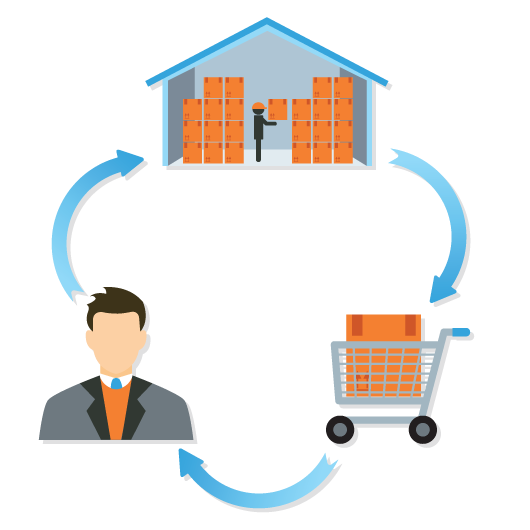 With your customized OnFulfillment web portal, you'll never wonder where your shipments are again. Detailed, real-time reporting ensures you have all the information about your shipping operations and inventory that you need to run your business. OnFulfillment can process both small and large orders — efficiently, accurately, and cost effectively to ensure your customers' satisfaction and help keep your costs to a minimum. Our experts will consult on the ideal process and packaging to minimize costs. We will accurately and quickly pick the relevant product for each destination or order, re-package and label as needed, and ensure the most cost effective shipping method is used. Whether your project includes PR kits, a complex dimensional direct mailer or product packaging, you can be certain that your assembly projects will be executed accurately, efficiently and on time. Based on our years of experience, we can also provide guidance and advice to ensure your assembly project can be scaled up as needed with minimal cost.